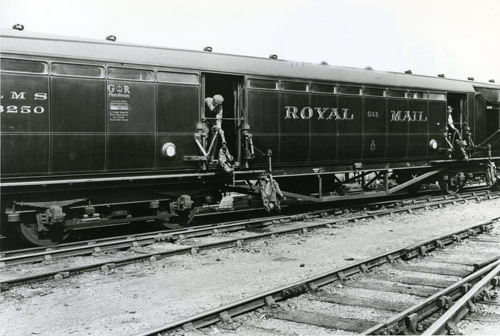 If you visit the Royal Mail Archive today you can see our special exhibition The Great Train Robbery, the aftermath and the Investigations: A Story from the Archive. It marks the 50th anniversary of the robbery, and is presented in conjunction with a talk to given by author Andrew Cook tonight. Around 3am on 8th August 1963, £2.6 million (£45 million in today’s money) was stolen from a Travelling Post Office (TPO) en route from Glasgow to London. The audacity and violence of the crime, which later became known as The Great Train Robbery, stunned the general public and made international celebrities of some of the robbers. Our exhibition tells the story of the investigations that followed, particularly the key role The Post Office Investigations Department (POID) played in helping police uncover the events of the robbery. The exhibition also looks more widely at the effects the robbery had on the role of the TPO and the security changes brought in by the GPO, as well as exploring the history and work of the POID both then and now. Some of the images in the exhibition come from the Thames Valley Police Museum and these show several of the crime scenes, including one of the train carriages. Also on display in the Royal Mail Archive today are original objects from our collections which are directly linked to the Great Train Robbery and the POID. After today a touring version of the exhibition will be on show at venues around the country – see our website for further details. In addition, we have partnered with the Google Cultural Institute (GCI) to make the exhibition available on their website. This enables anyone, anywhere in the world, to discover the truth behind the Great Train Robbery legend through original material from our collection. 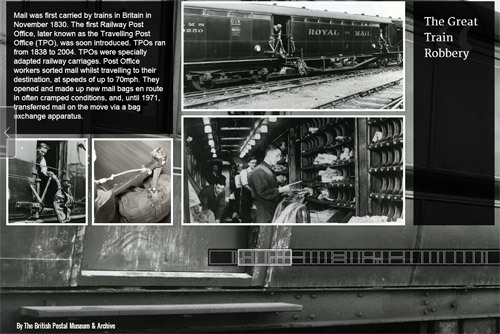 The Great Train Robbery exhibition on the Google Cultural Institute website. The Google Cultural Institute, created in May 2011, is a platform that provides access to works of art, landmarks and archive exhibits with just a few clicks of the mouse. All the content is chosen by Google’s 290 partners, which include museums as well as cultural institutions and associations. The purpose of the Cultural Institute is to preserve and highlight a variety of cultural heritage by providing free and simple access to all visitors through the use of web technology. 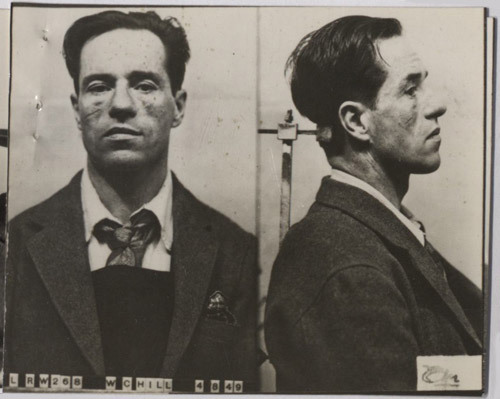 View our Great Train Robbery exhibition online at the Google Cultural Institute. 2013 marks the fiftieth anniversary of the Great Train Robbery – one of the most notorious robberies of the 20th century, which has proved to have enduring public appeal, particularly via books, films and documentaries. On this blog, we have previously published articles on this criminal coup and the number of working files detailing its investigation that are held in our Archive. Author and historian Andrew Cook has now published a new book on this event and describes the fascination this infamous crime and its background have exerted over the decades. The term ‘The Great Train Robbery’ was neither born as a result of the 1963 mail train hold up, nor indeed the 1855 train robbery later immortalised by Michael Crichton in his 1975 novel ‘The Great Train Robbery’ (which was later filmed by MGM in 1978 as ‘The First Great Train Robbery’ starring Sean Connery and Donald Sutherland). The term ‘The Great Train Robbery’ has in fact no basis at all in any real life event; it is instead the title of a 1903 American action Western movie written, produced and directed by Edwin S Porter. Lasting only 12 minutes it is still regarded by film historians as a milestone in movie making. When, in 1963, the British press frantically searched for a suitable iconic headline, Edwin Porter’s 60 year old movie title fitted the bill perfectly. Mail was first carried in Britain by train in November 1830, following an agreement between the General Post Office and the Liverpool & Manchester Railway. In 1838 Parliament passed the Railways (Conveyance of Mails) Act which required railway companies to carry mail as and when demanded by the Postmaster General. Trains carrying mail eventually became known as TPO’s (Travelling Post Offices). 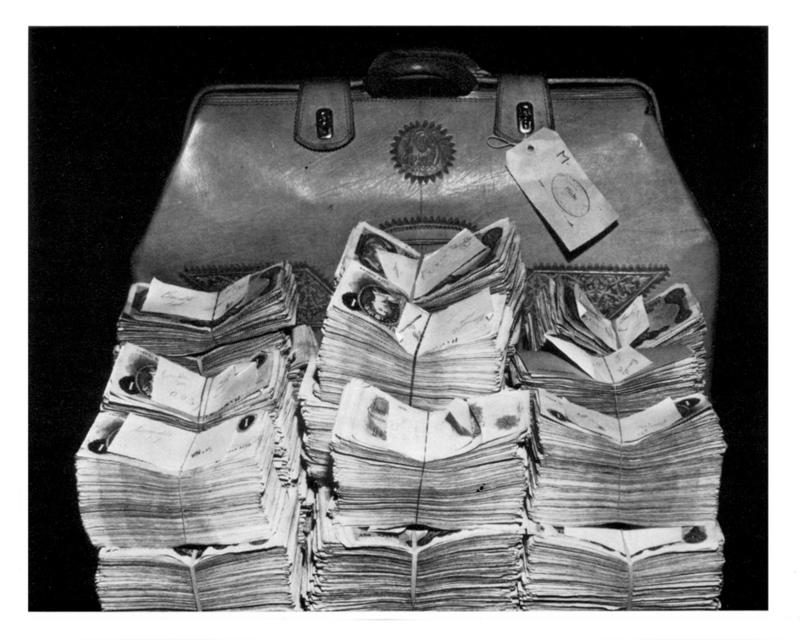 133 years later, just after 3am on Thursday 8th August 1963 a gang of professional thieves made history when they held up the Glasgow to London Travelling Post Office train and seized a record breaking haul of £2.6 million (just over £50 million in today’s money). Much has been written over the past five decades, in books, magazines and newspapers. A host of films and television documentaries have also ensured that not one year since 1963 has passed without coverage of the story and the characters involved. 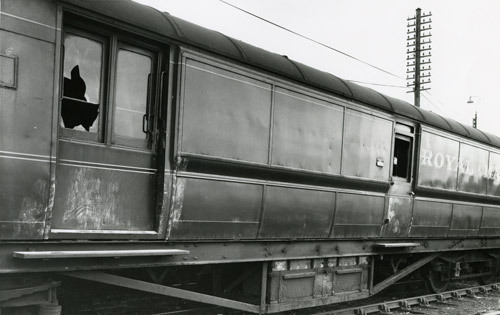 However, despite the wealth and extent of coverage, a host of questions have remained unanswered about the Great Train Robbery: Who was behind it, was it an inside job and who got away with the crime of the century? Fifty years of selective falsehood and fantasy, both deliberate and unintentional, has obscured the reality of the story behind the robbery. The fact that a good many files on the investigation and prosecution of those involved, and alleged to have been involved, were closed in many cases until 2045 has only served to muddy the waters still further. To piece together an accurate picture of the crime and those surrounding it, I endeavoured to return to square one, so to speak, and some four years ago began to gather together as many primary sources as possible. These undoubtedly give a totally new ‘feel’ for the case and indeed the social attitudes of the time. The sheer volume of material also brought home just how easy it can be to overlook certain details and key links without the ability to cross reference other sources and investigations. Through Freedom of Information (FOI) legislation and other FOI routes I was able to access Director of Public Prosecuations (DPP) and Metropolitan Police records. With the assistance of the BPMA I was equally able to navigate the Post Office’s extensive records of the robbery and those suspected of involvement. 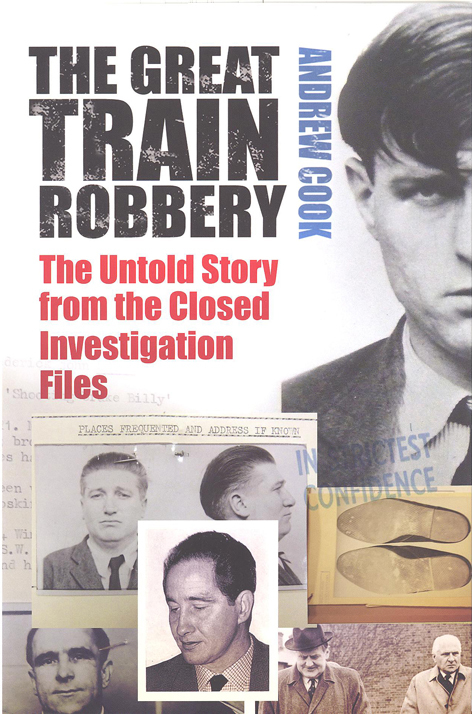 Andrew Cook’s new book The Great Train Robbery – The untold story from the closed investigation files has now been published. The finished book is effectively a ‘real time’ account of the police and Post Office investigations and for the very first time allows the reader a unique fly-on-the-wall opportunity to discover for themselves the untold story from the close investigation files. 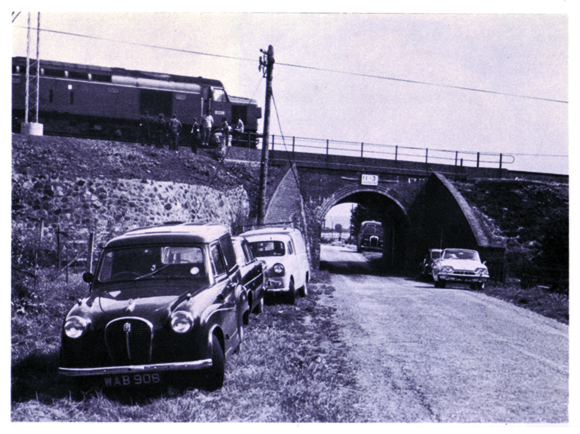 The book ‘The Great Train Robbery – The untold story from the closed investigation files‘ can now be purchased from the BPMA Shop for £18.99 (plus P&P). This month sees the 60th anniversary of a daring robbery from the Post Office mail van. This attack occurred in the early hours of the morning of 21st May 1952, when a mail van carrying High Value Packets (HVPs) was ambushed in Eastcastle Street, London. The mail van had collected its consignment from the Travelling Post Office at Paddington Station and was returning to the Eastern Central Delivery Office when the attack took place. The usual route travelled along Oxford Street, but due to traffic works a diversion was in place taking traffic along Berners Street and Eastcastle Street. At this point a car pulled in front of the van preventing its progress, while another vehicle pulled up behind it. The staff (a driver, guard and a sorter) were forcibly pulled from the van and attacked. The van was then driven away by the gang and later abandoned in Augustus Street, about one mile away. A total of £236,748 10s had been stolen. There must inevitably be grave suspicion that a Post Office servant is implicated in the theft. It is considered doubtful whether an operation so well planned could (or would) have been executed without an up to date knowledge of the internal arrangements. Those staff on board the mail van came under particular suspicion. There were several anomalies which gave cause for concern; firstly the siren which the van was fitted with and which should be used in case of attack was not deployed and was found to be deactivated when the van was recovered, secondly the driver had not handed the keys to the guard as was protocol but instead left them on the seat, and thirdly one of the doors was not secured properly. The driver was responsible for these omissions, and was also largely uninjured in the attack caused suspicion. However the police decided that none of the staff on the mail van at the time of the attack were involved in its organisation. The number of Post Office staff who had some knowledge of the operation of the HVP mail vans was significant. There were 800 Postmen Higher Grade, and 2300 Postmen working in the Eastern Central Delivery Office at the time. A further 680 Postmen Higher Grade, and 375 Postmen worked in the Foreign Section, located in the same building. Several hundred more staff were involved with administrative, supervising and clerical duties and many motor mail van drivers also had access to the site. This combined with the high turnover of temporary staff meant that a large number of people could potentially have leaked information. Therefore the police and the Post Office Investigations Department focussed their attentions on those staff with direct involvement with the mail vans at the time of the attack, and those with criminal records. 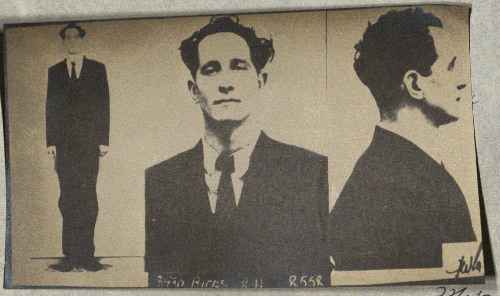 William (Billy) Hill, a notorious gangster was suspected of orchestrating the attack. It was believed that the robbery was planned weeks beforehand. Once the mail van was seized and taken to Augustus Street, the mail bags were transferred to a ‘railer’ (a lorry with railed sides) and concealed with apple boxes. 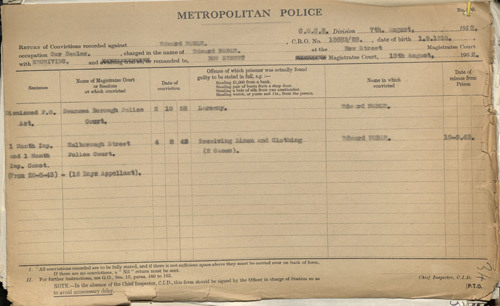 In July 1952 Robert Kingshott and Edward Noble were arrested in connection with receiving stolen money in relation to the Eastcastle Street robbery. Noble had previously been dismissed from the Post Office for larceny. However after much deliberation the jury found them both not guilty. No one else was ever charged or convicted in connection with this robbery. He saw no objection, and in fact he advocated the provision of a common weapon i.e. (truncheons) to the Post Office staff travelling on these vans. He further indicated that the staff so provided should be instructed to have no hesitation in using them if they were attacked. This remains a valid consideration for any organisation considering security measures today. Information from this blog was drawn from the records of the Post Office Investigations Department, available in POST 120. In 1974 the Post Office experienced a spate of violent robberies from sub post offices. On 15 February 1974, New Park Telegraph Sub Office was attacked. The Sub Postmaster, Donald Skepper, was shot and killed in the raid. Seven months later on 6 September 1974, Derek Aston the Sub Postmaster of High Baxendale Telegraph Sub Office was shot and killed in similar circumstances. On 11 November 1974, Langley Telegraph Sub Office was targeted. The Sub Postmistress, Margaret Frances Grayland was severely beaten and suffered several skull fractures. Her husband, Sidney James Grayland, was shot and killed. It was suspected that these attacks were linked and Lancashire Police, together with the Post Office Investigations Department, began a detailed investigation. 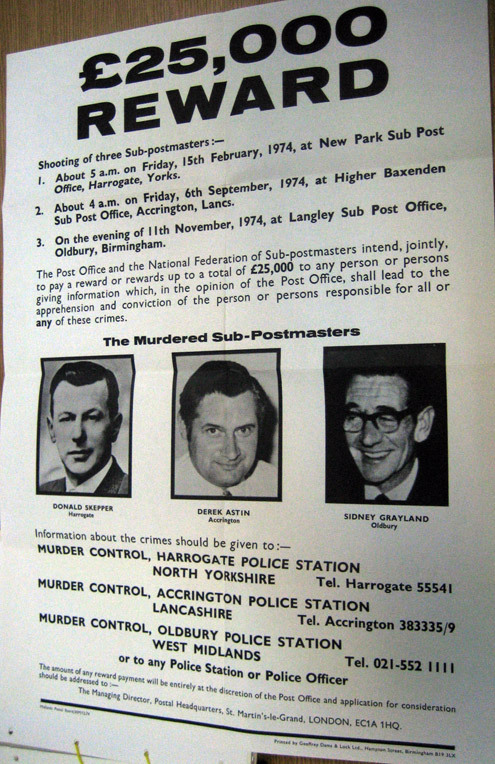 The investigation began by examining other Post Office related crimes that had similarities to the ones in Harrogate, Baxendale, and Langley. In total 180 attacks on post offices between 1964 and 23 October 1974 were identified for reinvestigation. Of these 167 were determined to be definitely unconnected, while the remaining 13 were regarded as possibly related. The size of the investigation into these attacks cannot be underestimated. In total 6,000 named criminals were listed for elimination by Lancashire Police. The possibility that some who worked for the Post Office was considered and a list was compiled of almost 500 employees of sub post offices who had admitted offences against the Post Office since April 1971. All of these were eliminated from the enquiries. A further 3,800 employees of the Albright and Wilson factory near Langley post office were interviewed, but no suspect emerged. These individuals were interviewed as the company issued staff with rubber gloves and boots similar to evidence found at Langley sub post office. At the height of the enquiry 600 police officers were engaged full time in the investigation. There was widespread media interest in the case, with the offender being dubbed the ‘black panther’, due to the dark clothing described by his victims. A series of rewards were offered for information leading to the apprehension of the offender. Initially a reward of £5,000 was offered after the attack in Harrogate. A further £5,000 was offered after the attack in High Baxendale, a figure which was later increased to £15,000, with £5,000 being contributed by the Federation of Sub Postmasters. Another £5,000 was offered after the attack on Langley. Finally the figure was raised to £25,000 and a poster produced showing all the three Sub Postmasters who had been killed by the offender. By the beginning of 1975 no further attacks had been identified, and the investigation was at the point of being wound up. 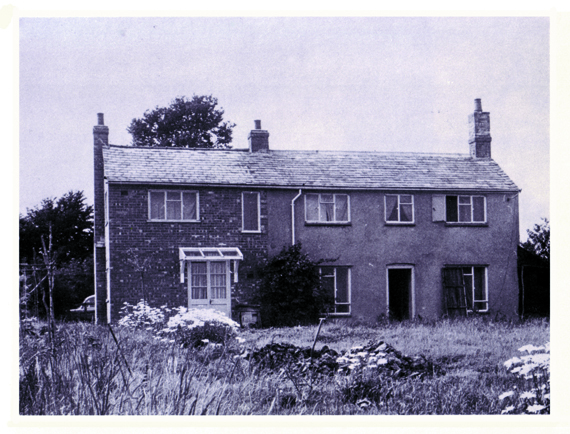 Then on 14 January 1975 a young heiress, Lesley Whittle, was kidnapped from her home in Highley, Shropshire. On 7 March 1975 she was found dead in a drainage shaft. On 15 January 1975 Gerald Arthur Smith, a security guard at a railway yard in Dudley was shot when confronting a trespasser. 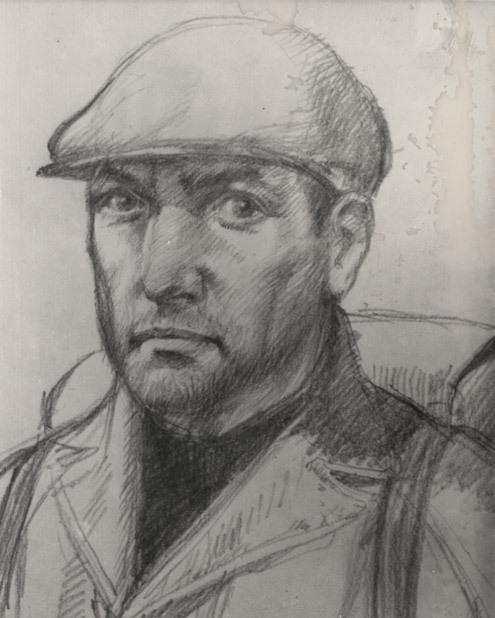 He survived the attack (although he died on 25 March 1976 as a result of injuries sustained) and was able to assist in the production of an artist’s impression of his attacker. Forensics were able to prove that the gun used in this attack was the same one that killed Sidney James Grayland in Langley, establishing a definite link between the Post Office cases and the kidnapping. Again there were suggestions that the offender had some connection to the Post Office, this time on the telephone engineering side. These suspicions were based on the grounds that ransom instructions had been left in call offices and the offender was apparently aware of telephone tracing procedures. However further investigations into staff working in the telecommunications side of the business were unsuccessful and the offender remained at large. 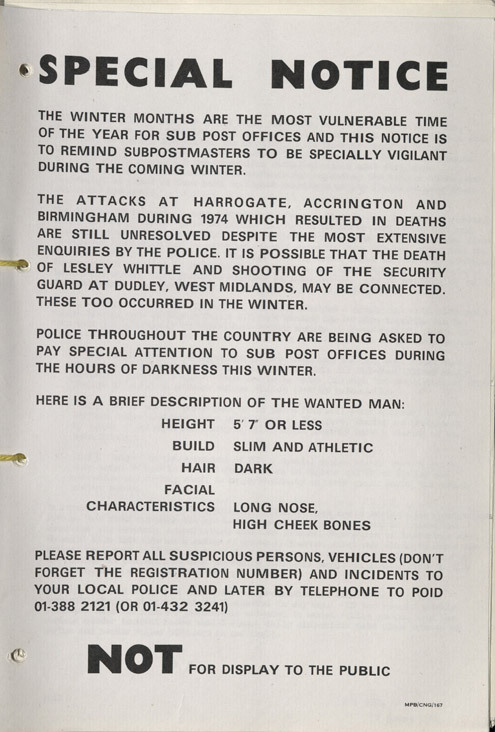 As the winter of 1975 approached the Post Office issued a warning to all Sub Postmasters to be alert to suspicious behaviour (previous robberies had all occurred during the winter). On 11 December 1975 Donald Neilson was approached by police officers in Mansfield who believed him to be acting suspiciously. He refused to provide his name and address and produced a gun. He got in their car and demanded to be taken to Blidworth. The officers eventually managed to arrest him with help from members of the public. Initially Donald Neilson was not linked with the Post Office robberies or the kidnapping and murder of Lesley Whittle. 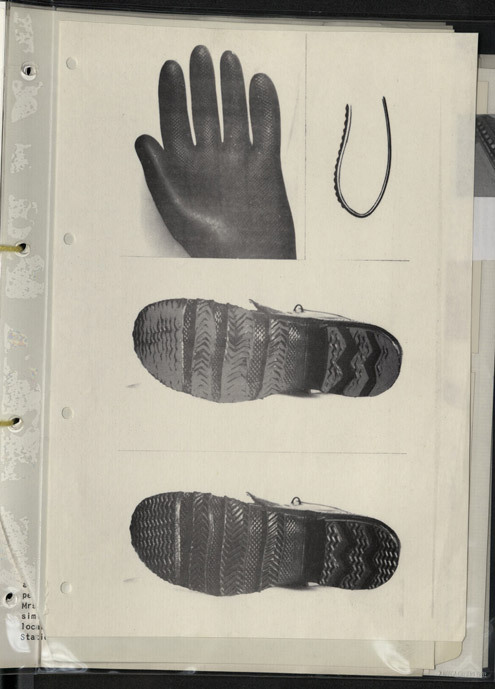 However when his bag was examined in contained a brace and bit (used to gain entry to the post offices) and a face mask matching descriptions given by his victims. that the enormity of his crimes put him in a class apart from all convicted murderers in recent years. He described the kidnapping and eventual murder of Lesley Whittle as the ultimate in villainy and said furthermore that whilst he was at large Neilson had struck terror into the hearts of Postmasters, Subpostmasters, and their families throughout the country. Neilson was sentenced to life imprisonment, with life to mean ‘natural life’. He died in custody on 18 December 2011. Records of the investigation into the attacks by the Donald Neilson, and his eventual arrest and trial, are held in The Royal Mail Archive in POST 120.